We were on a mission to get a field guide about Texas trees and there was only one place I figured had one, The Forestry Museum. 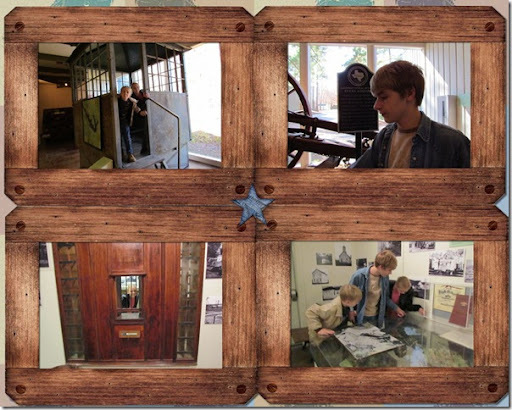 We have visited this museum on a couple of occasions before but they have some exhibits that rotate out. We figured while we were there getting the book we would give it a quick run through. The kids get all excited about playing with Lincoln logs even though they have dozens at home. The museum did have a couple pieces that they didn’t have so they start telling me how they need this part and that part for their own collection. They have some interactive things that intrigue the children’s minds into further investigation. 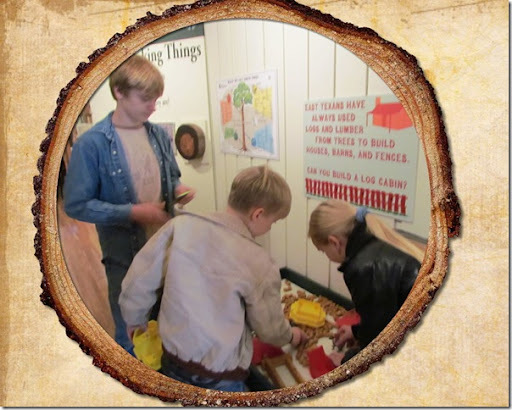 Many hinged information plaques hang in various stations so the kids can read what the forestry is all about. We were impressed with how the wooden vase was crafted out of a tree stump and you could see the tree’s age rings on it. There was also a cute armadillo made from pinecones and a carved wooden dagger. A playground area that was made to resemble a paper making machine. Adam was the first to spot it but Anna didn’t take long to join him. They climbed in the fire lookout tower cab. I bet they would not have been so quick to jump on it had it been on its 100 foot high perch. 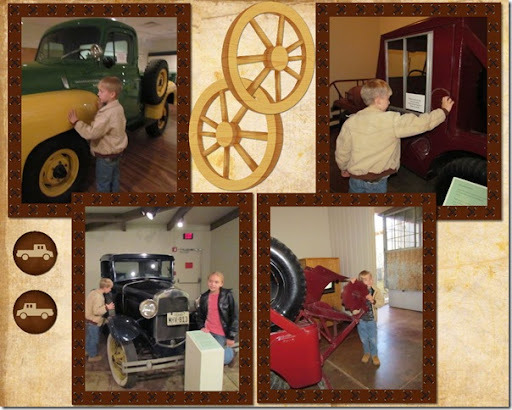 Austin looked at the old ox pulled log wagon, the yokes worn smooth from use. Anna wanted to play mail lady at the “post office” exhibit but they had the back blocked where she couldn’t peek through the window. The kids looked at the logging town replica and Austin decided he would want to live in the thick forest away from everyone. Gosh, he reminds me of myself. It was just a quick trip but the kids seemed to enjoy it, and we got the book we wanted so mission accomplished! 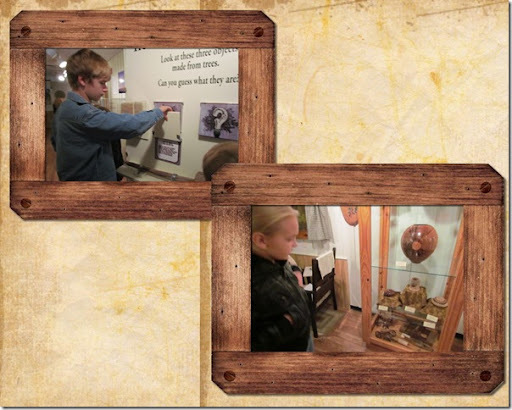 Posted on December 29, 2010, in Homeschool and tagged History. Bookmark the permalink. Leave a comment.